Frank DiMatteo was born into a family of mob hitmen. His father and godfather were shooters and bodyguards for infamous Mafia legends, the Gallo brothers. His uncle was a capo in the Genovese crime family and bodyguard to Frank Costello. Needless to say, DiMatteo saw and heard things that a boy shouldn't see or hear. 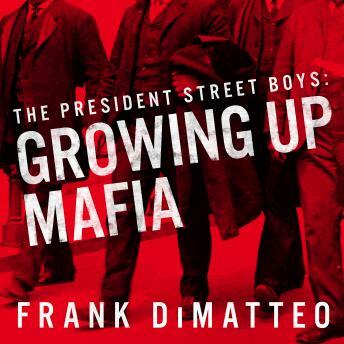 From the old-school Mafia dons and infamous 'five families' who called all the shots, to the new-breed 'independents' of the ballsy Gallo gang who didn't answer to nobody, DiMatteo pulls no punches in telling what it's really like growing up in the mob. He describes getting his cheeks pinched by Crazy Joe Gallo until tears came down his face, dropping out of school and hanging gangster-style with the boys on President Street, and watching the Gallos wage an all-out war against wise guys with more power, more money, and more guns. And finally, DiMatteo reveals the shocking deathbed confessions that will blow the lid off the sordid deeds, stunning betrayals, and all-too-secret history of the American Mafia.